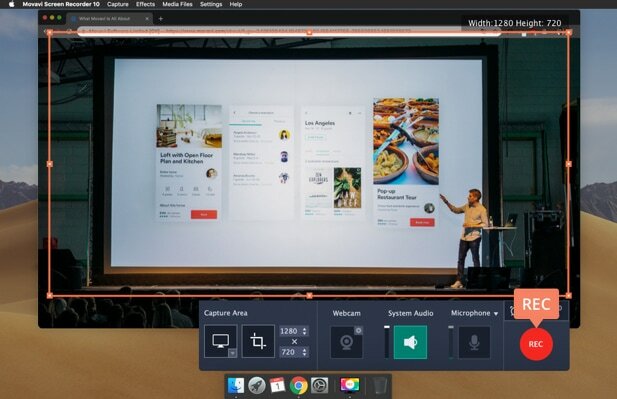 Movie, presentation or webinar – it doesn’t matter why you need to record the screen on a MacBook. On the web, you’ll find any number of instructions for how to film your screen on Mac, using the built-in software. But what if you need more than just a simple recording tool? Maybe you want to set up your own hotkeys, or capture only selected parts of the screen. 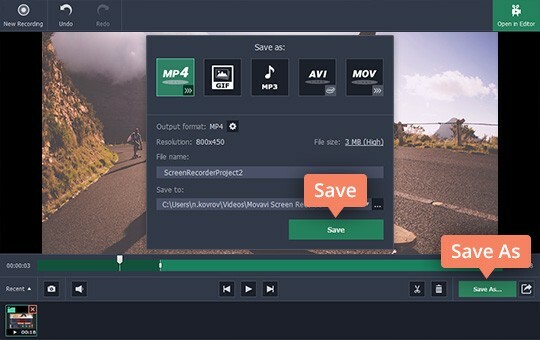 Or you just need to convert your recording to particular format. You don’t need to search for a solution any longer – we’ve got it! 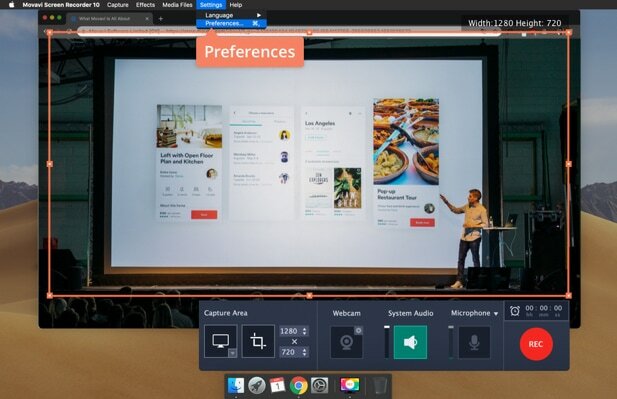 Now you can not only record the laptop screen on a Mac but also make the process more personalized for your needs. Check out the guide below and learn the safest way to record desktop visuals on your Mac whatever version uou have - MacOS Mojave, MacOS Sierra, etc. To record screen activity on Mac, follow these simple steps. DownloadDownload Movavi Screen Recorder and follow the installation instructions. Allow the program to access your hard disk and accept the agreement conditions. The installation takes no more than 2 minutes. 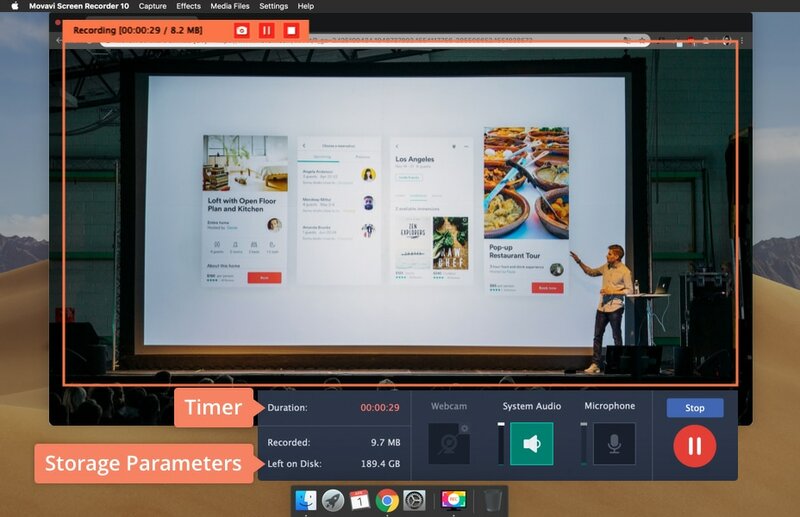 After you launch the program, a red frame will appear on your screen. Use the cursor to resize the frame and position it to record a particular area of the screen. There are hotkeys to help you control the recording process: ⌥ ⌘ 1 to Pause and Resume and ⌥ ⌘ 2 to Stop to record screen activity on a Mac. You can also change these hotkeys if you wish; to do this, go to the Settings menu and open Preferences. In the left column, choose the Hotkeys parameter and change the keyboard shortcuts in the field as appropriate. Don’t forget to click OK to save your settings. 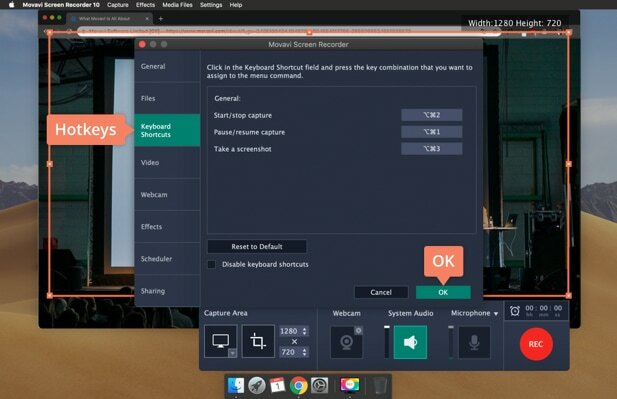 By clicking on the REC button, you can start to record the screen on a Mac. 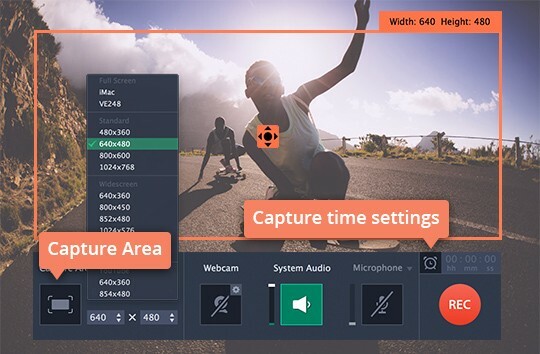 Use the Timer in the recording window to manage the duration of the recording. You can also see from here the amount of memory the software is using. Last but not least is the process of editing and converting the result. Using the white marker, you can select unnecessary parts of the capture and cut them out with the Scissors button. 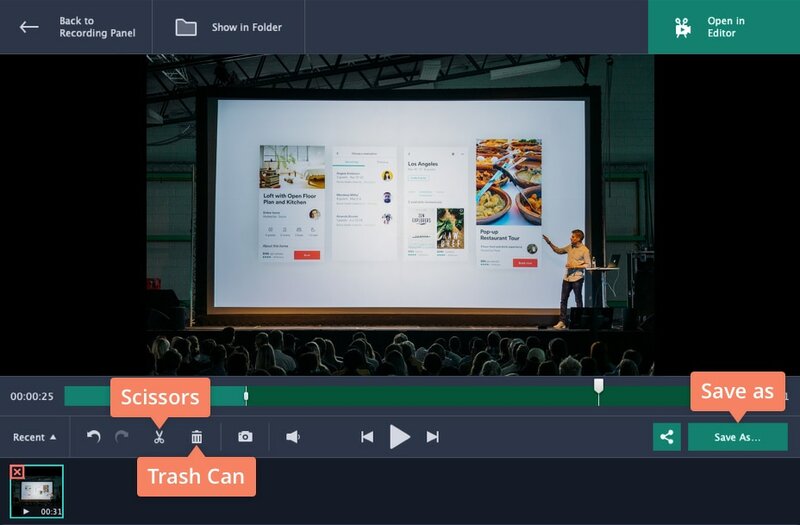 To complete the editing, delete the selected pieces by clicking the Trash Can button. Now hit the Save As button to save the result. 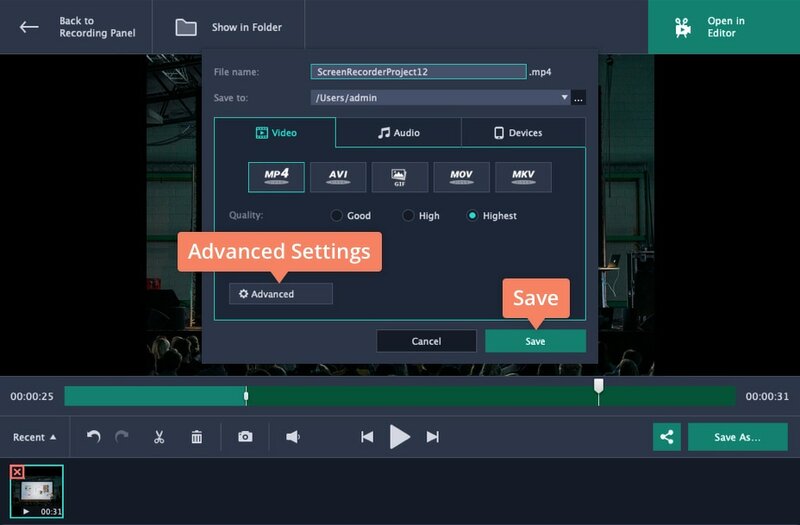 Choose the format for the recording and resize it in the Advanced settings if you need to. Don’t forget to name the file and choose the folder so you don’t lose the recording. Complete the process by hitting the Save button. 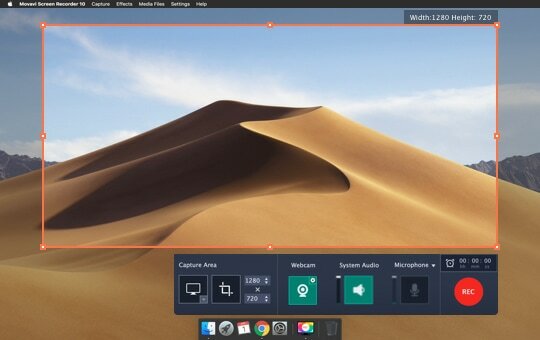 Now you know how to record the computer screen on a Mac and how to record Mojave screen. 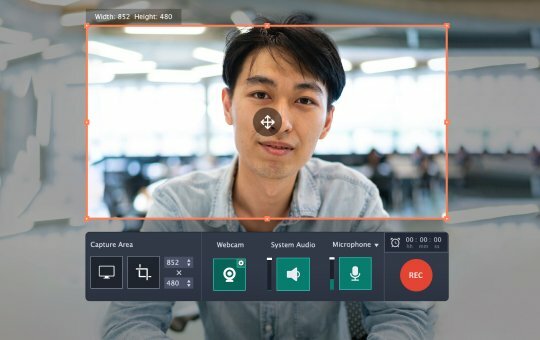 Stop wasting time and start recording right now!